Hey, it’s been a minute! How was your holiday? It’s a new year, a new day, a new you! Is that how the saying goes? A coworker came up to my desk yesterday – “Graaace! Have you heard about the new food of the year?! Quinoa!!! Oh, you’ve tried it? How do you pronounce it and how do you cook it and what does it taste like? And can I put hot sauce on it? !” Oh the fun of being the office foodie freak. *winky face. But seriously tho, trying new food is fun – your body even rewards you for it. It’s a totally legit and doable new year’s resolution too. 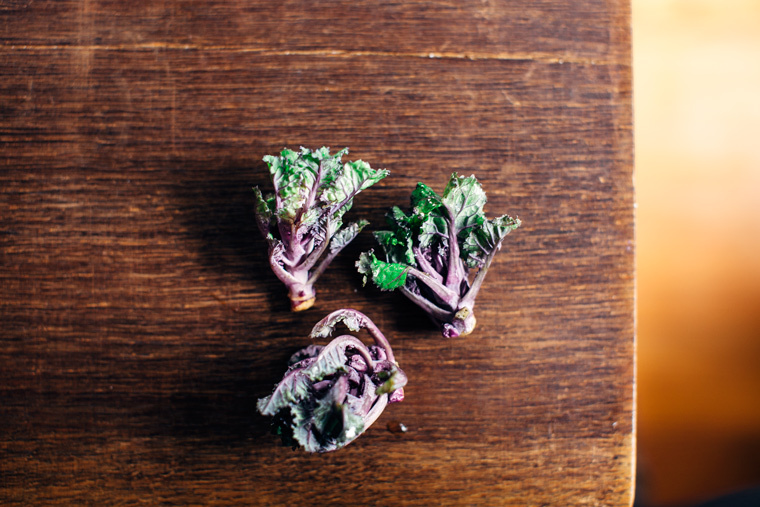 I’m going to try 5 new foods this year, starting with these kale sprouts! 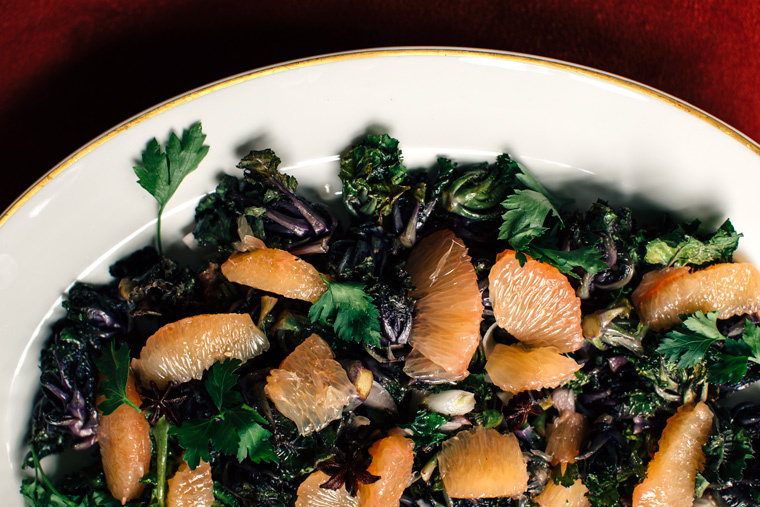 Kale sprouts… imagine if kale and brussels sprouts fell in love and made a bunch of cute little babies. 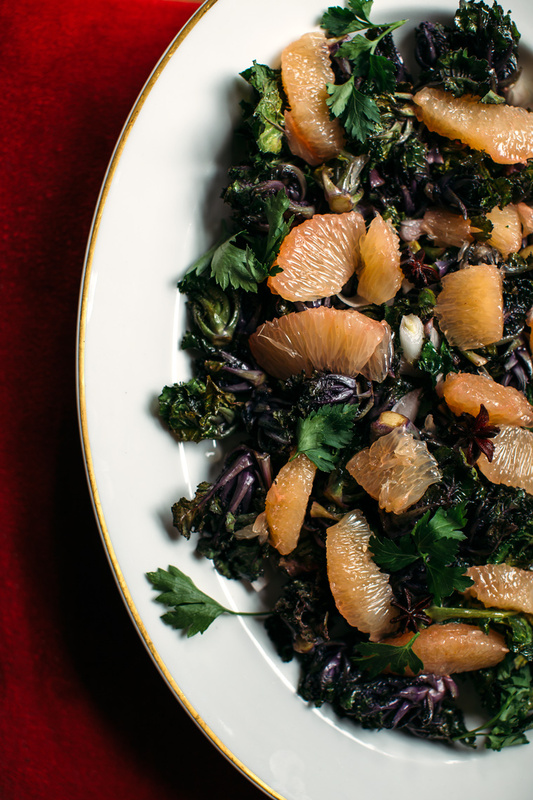 I roasted these little thangs with some olive oil and shallots, then tossed them with this super spiced-up honey grapefruit juice dressing. Zing! Simple, really. More add-ins here are welcomed and encouraged: slivered almonds, feta and perhaps even some quinoa! Be bold, be bright, 2015 is going to awesome! slivered almonds and/or feta crumbles would also be nice! Wash and roughly chop the kale sprouts. Toss with olive oil, a bit of salt and minced shallots. Roast on a baking sheet at 400F for 15 to 20 minutes. 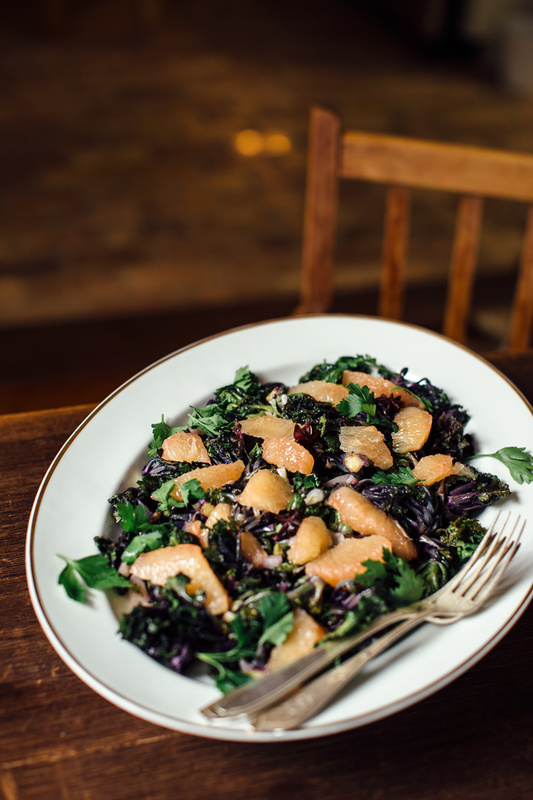 While the veggies are roasting make the grapefruit dressing. Segment two grapefruit, saving the juices. 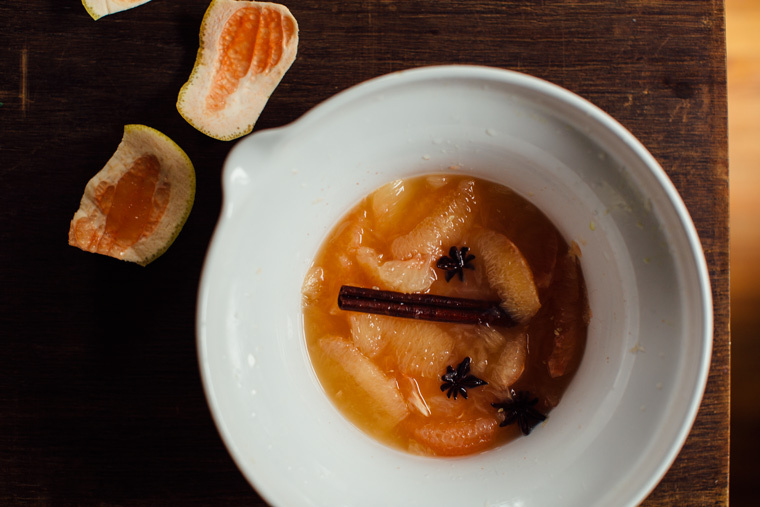 Bring the reserved grapefruit juice to a boil with the honey and spices. Reduce to a simmer, add the lemon juice and let this cook for about 5 minutes. 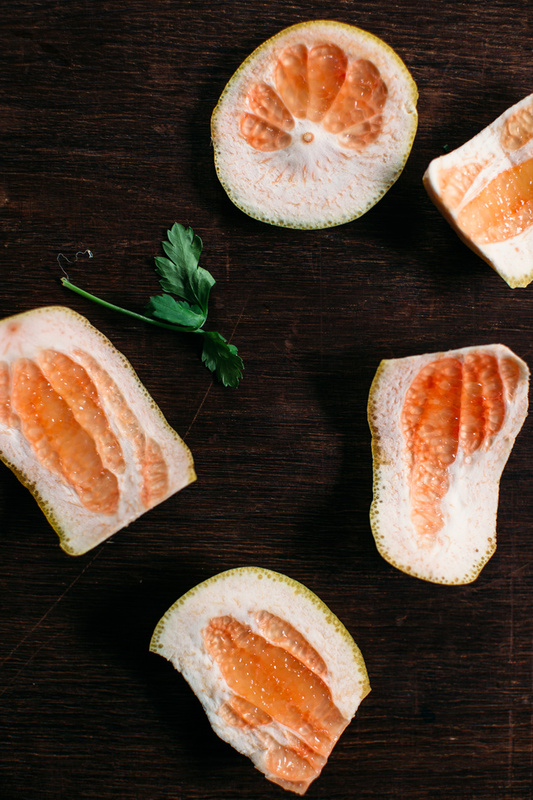 Let cool slightly then pour over the grapefruit segments to marinate – the longer the better. After the veggies are tender gently toss everything together in a large bowl and serve. 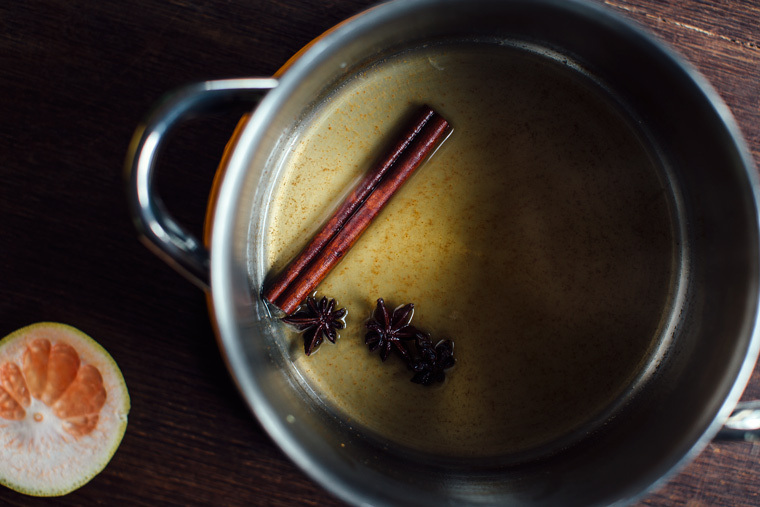 Recipe adapted from this book I got for Christmas – a new favorite for sure! 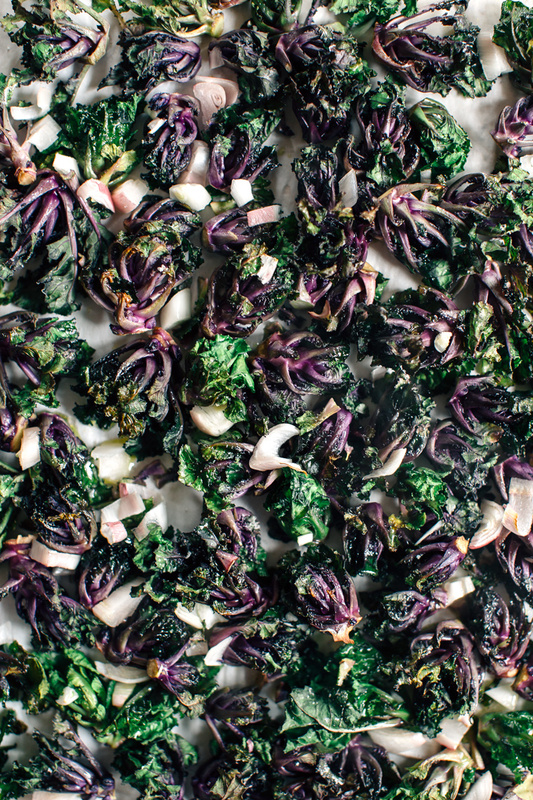 Cant’ find kale sprouts? Just use brussels sprouts! 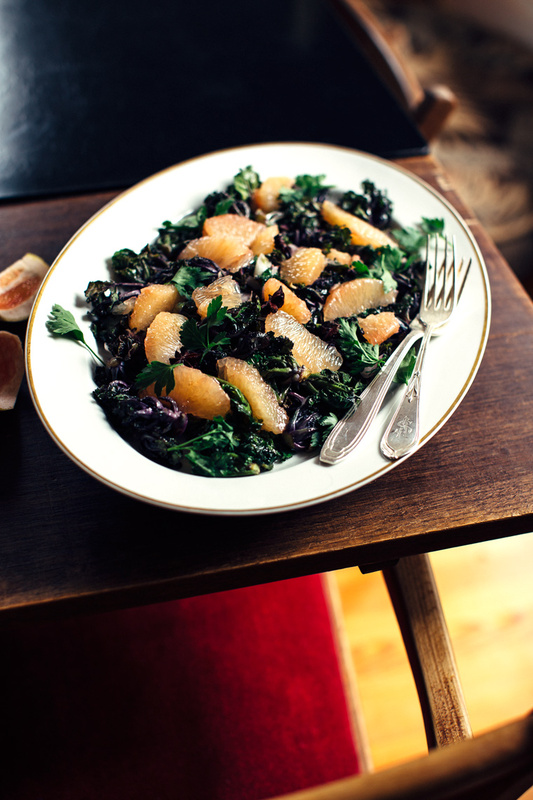 Want to make this grapefruit dressing for your favorite salad? 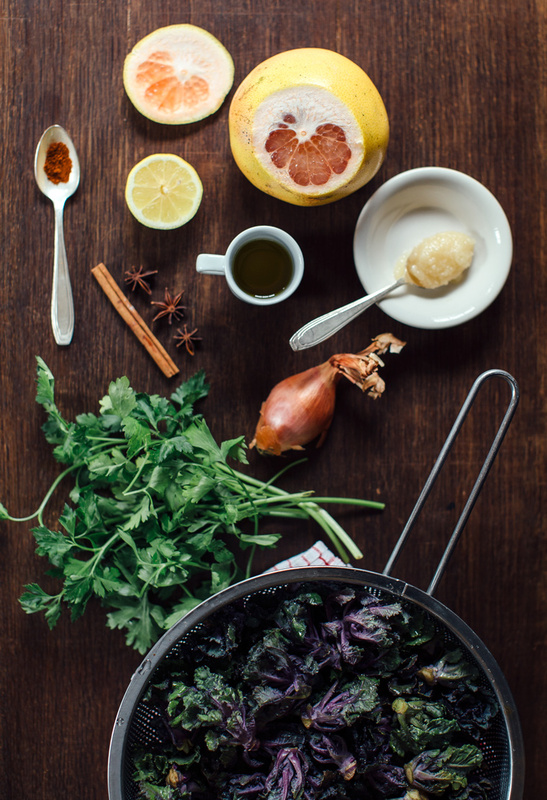 Just add equal parts olive oil to the prepared grapefruit juice dressing! That dressing is calling my name! Such a lovely salad! Thanks Jodi! Hope your new year is off to a great start! Kale sprouts, really?! I would grab them all up if I ever see them around here. In the meantime I may do a combination of BS and kale. This dressing is absolutely incredible. LOVE! Thank you Katie! Have a great one! Thanks Olivia! It’s good to be back!